The Makings serves as an introduction to folks unaware of Shoes' past production credits. Compiled by Shoes himself to help in the promotion of his 2012 debut ''Let It Go'', ''The Makings'' features previous productions for the likes of Danny Brown, Proof, Elzhi, MED, Quelle Chris, Invincible, Roc Marciano and more. 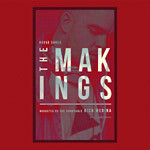 ''The Makings'' also features audio testimonials from the likes of Rich Medina, Black Milk, Gaslamp Killer, Phife, Exile, Nick Speed, Rhettmatic, Paul Rosenberg and a few others as they talk Shoes' influence and lengthy history as it ranges from the D to Cali, and talking about House Shoes' work over the last 20+ years.